A few springs ago, I jetted off to Italy to shoot at the Il Borro estate in Tuscany. That sounds so amazing and it really was a dream come true!. Il Borro is a beautiful medieval village that dates back to 1254, by conservative estimates, and was the home to many prominent families over the centuries. Ferruccio Feragamo purchased the estate in the 1980's and has been bringing it back to it's former glory as a destination. This makes me so happy because history is being preserved for the future. Il Borro has lovely accommodations, delicious restaurants, a spa and a gorgeous winery and most importantly . . . horses! I hope you enjoy a little glimpse of this lovely estate . . .
Nestled about 45 minutes west of our studio here in Greensboro, North Carolina, sits the beautiful Kimpton Cardinal Hotel in downtown Winston-Salem. It is a luxurious retreat filled with stunning art deco details and decor from local artists and artisans, but perhaps what is most remarkable about this newly-renovated boutique hotel is the building's origin story. It was the prototype (on a smaller scale, of course) for the Empire State Building in Manhattan. In fact, the Empire State Building sends the Cardinal Hotel a Father's Day card every year - now how adorable is that! We always love working with Our State and were thrilled to see these images in print in March's issue. Take a peek! Aiken, South Carolina, is a special place full of horsey culture. I went down to visit my friend Erin at Newbridge Polo where her beautiful horse Fleur was training for the winter months. How I loved to see the polo ponies going out for their daily walks and watching Julie Clark of Clark Eventing training and showing with Fleur. 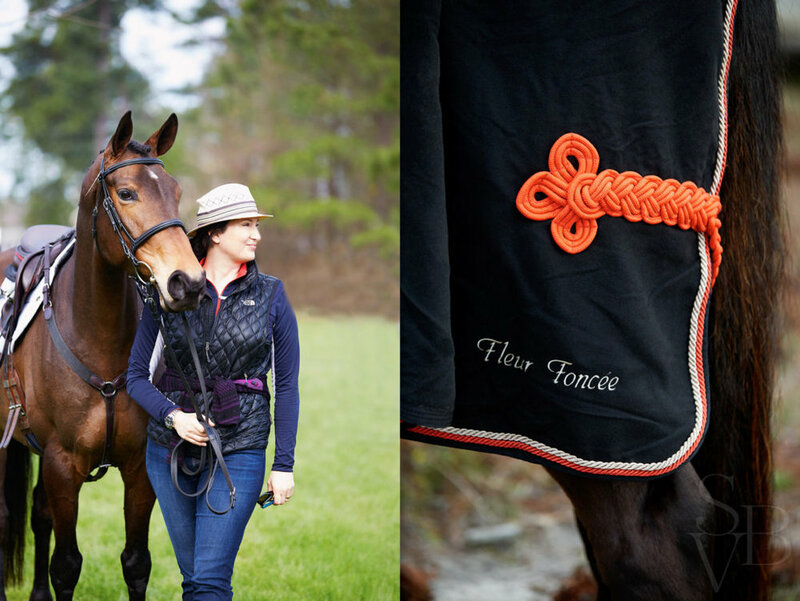 We had the opportunity to do a few portraits of Erin with her gorgeous mare for her editor’s photo for Style at Home magazine – I just love the friendship they have. And of course, Simon had his little photo session too. After an afternoon of exploring the charming town of Aiken, it was time to go to the iconic southern hotel, the Willcox, for a cocktail & reminisce about our idyllic day. Author & philanthropist, Beatrix Potter, often visited her Uncle Fred and Aunt Harriet’s rambling Welsh estate at Gwaenynog Hall. I had the privilege of visiting this idyllic property a few years ago on a shoot for Canadian Gardeningmagazine. Gwaenynog Hall is a 2000 acre estate located near Denbigh whose beautiful walled gardens inspired Beatrix to write her charming Flopsy Bunny books. Janie Smith, Beatrix’s great grand niece, showed around the gardens – she and her daughter Frances have worked tirelessly to restore the gardens back to what they might have looked like when Beatrix visited. The garden’s were was so lovely even though we visited in the fall – ivy was still crawling on the walls, ruby red apples ripe on the trees, purple thistles blowing in the wind, iron gates opening up to secret gardens and horses peacefully grazed in the fields – I really could imagine Flopsy & Mopsy, Cottontail & Peter hopping through the flower beds looking for a nibble, can’t you? On a visit in May 1895, Beatrix Potter wrote in her diary . . . I joked on Facebook that I have almost run out of the best aged balsamic vinegar and so I decided to go to Italy tomorrow. Some thought I was joking but I really am headed out tomorrow for a dream come true shoot at Il Borro, a luxury Relais & Chateaux property in the hills of Tuscany! My dear friend Krista is coming from Scotland to assist for the shoot and then we are actually going to have a real holiday. It has been so long since I have had true rest. I can’t wait to taste the organic olive oil on the farm we are staying and enjoy all the amenities at Il Borro too. I will be in Firenze for Easter and for a couple of days afterwards – it will be a time for soaking up art and amazing architecture, taking walks down long country roads and drinking wine & eating local food. Here is a photo from my last trip to Italy. Arrivederci! Sometimes when I am working on location, I just take my iPhone to capture the ambience instead of my very heavy camera. Sometimes I reget not having my “real” camera but sometimes it just helps me to feel free and unencumbered. I try out a lot of photo apps for iPhone and while in London last year, I had some fun with Pocketbooth. This app mimics a photobooth by taking a photo every so many seconds so it is a challenge in public places to get what you want. Probably people thought I was a bit mad running around with my iPhone at arm’s length to get the photos on time. So hope you enjoy a little bit of London from my rambles around the city . . . I know I loved every minute of wandering around Bloomsbury, Trafalgar Square, Buckingham Palace & eating some great fish and chips and drinking some more you guessed it . . . Pimm’s! La belle France. . . . how I love her. In the October issue of Style at Home, see a sunny French kitchen and suggestions on how to use yellow in your house. Seeing this story in the magazine reminded me of the wonderful trip I took with editor in chief Erin McLaughlin and stylist Ann Marie Favot to photograph this story. We enjoyed every minute of driving through the countryside and photographing. As I looked through the kitchen photos I came across these laundry shots that just seemed to match the fresh mood of the kitchen. And then a photo of one of the cutest French dogs – I secretly wanted to take him home! This beautiful property 300 year old property belongs to Rita Theil of Jackryn France. Turquoise has always been my favorite colour as long I can remember. Maybe there was a short pink phase but blue greeny hues never cease to fascinate me. Perhaps it is because even though I was a girl, my mother often dressed me in blues & turquoise. Or perhaps it is because it is the colour of the sky and the sea. I really can’t explain why this particular colour gives me so much joy but I never seem to get sick of it. 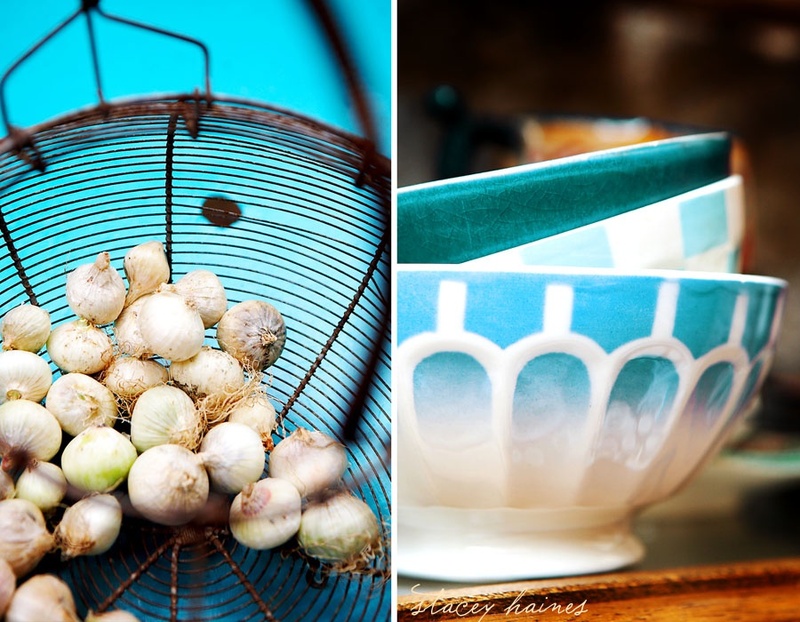 Here are a few more photos from Susan Hermann Loomis’ lovely cooking school On Rue Tatin. It was so thrilling to open her gate and see the beautiful courtyard with a tealy turquoise table and chairs!